Outcomes are distractions part of the mind and its stories! Be disinterested in them by staying a distant observer of the mental processes! Even now at this moment you are free. 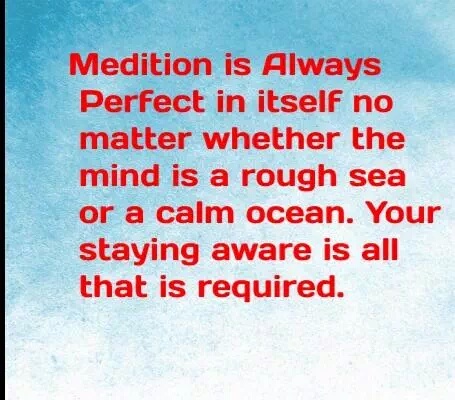 You have no obligation to act on your thoughts but you must gain that conviction through wisdom of meditation! The wisdom is simple – what you can observe does not belong to you! Since it does not belong to you don’t be interested in the stories it tries to hook you to! Your interest in the stories was because you identified with the mind as you unconsciously! The big cosmic joke in this cosmic drama is that your intellect fools you into believing through your plans etc that your consciously controlling life but truly speaking majority are being driven by memories of the past!